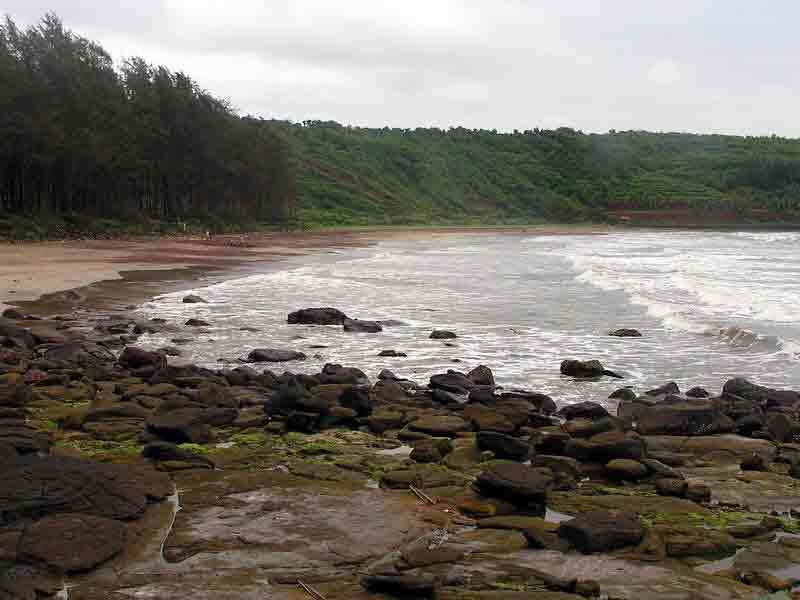 Hedvi Beach is a black sand cove between the two white sand beaches of Guhagar-Velneshwar and Ganpatipule. 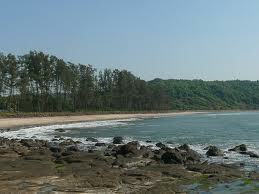 Hedvi beach is a small stretch with the end towards the Uma Maheshwari temple dominated by rocks. Avoid getting into the water here. If you are very particular about a dip in the sea the far end is better. 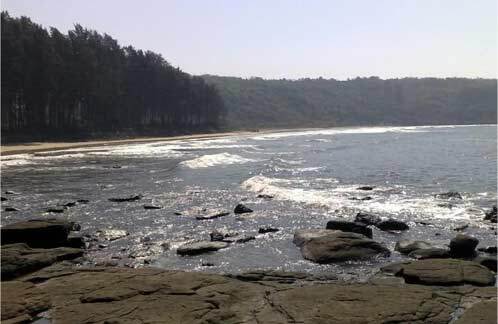 A word of caution : Hedvi beach is not the safest beaches for a swim and a dip ideally should be avoided. If you are looking for a secluded spot away for a long weekend and yet stay close to tourist spots, your answer is Hedvi. 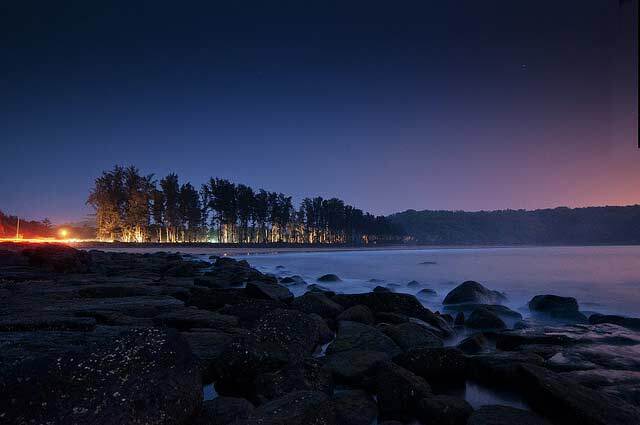 A small cove of black sand beach Hedvi is practically away from every thing, even mobile phone coverage yet is very close to the popular destinations like Ganpatipule, Velneshwar and Guhagar!! Hotels are available in hedvi. 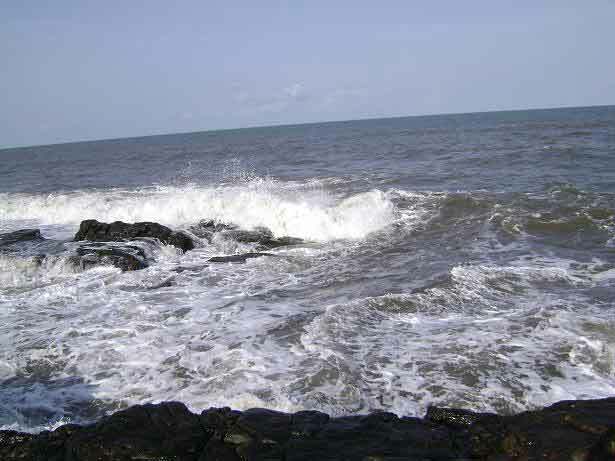 Hedvi is approximately 275 Kms from Pune and about 300 Kms from Mumbai. Chiplun is the nearest rail head and from Chiplun Hedvi is about 50 Kms. Hedvi is an ideal destination for weekend motor bike riders as it is just about at the right distance for a long ride and there are many places that you can see in and around Hedvi and more over Hedvi offers a secluded destination to hang up your boot! Nearest station is Chiplun, at a distance of 34 kms from Guhagar. 250 Kms from Pune & 285Kms from Mumbai.